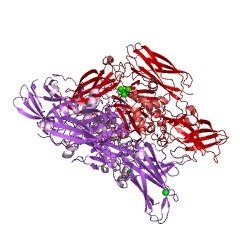 Transglutaminases are enzymes that establish covalent links between proteins. 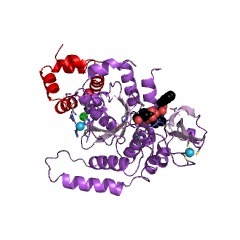 A subset of transglutaminase homologues appear to catalyse the reverse reaction, the hydrolysis of peptide bonds. 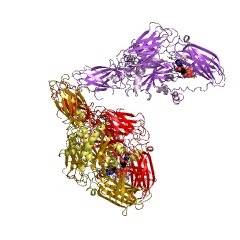 Proteins with this domain are both extracellular and intracellular, and it is likely that the eukaryotic intracellular proteins are involved in signalling events. 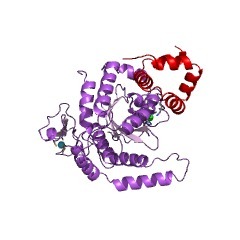 This domain is found in many proteins known to have transglutaminase activity, i.e. 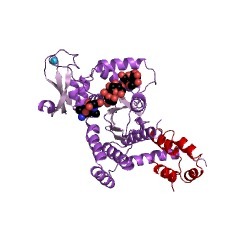 which cross-link proteins through an acyl-transfer reaction between the gamma-carboxamide group of peptide-bound glutamine and the epsilon-amino group of peptide-bound lysine, resulting in a epsilon-(gamma-glutamyl)lysine isopeptide bond. 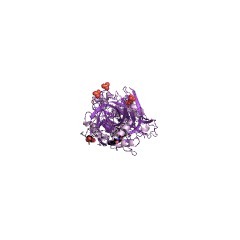 Tranglutaminases have been found in a diverse range of species, from bacteria through to mammals. The enzymes require calcium binding and their activity leads to post-translational modification of proteins through acyl-transfer reactions, involving peptidyl glutamine residues as acyl donors and a variety of primary amines as acyl acceptors, with the generation of proteinase resistant isopeptide bonds [(PUBMED:12366374)]. Sequence conservation in this superfamily primarily involves three motifs that centre around conserved cysteine, histidine, and aspartate residues that form the catalytic triad in the structurally characterised transglutaminase, the human blood clotting factor XIIIa' [(PUBMED:7913750)]. 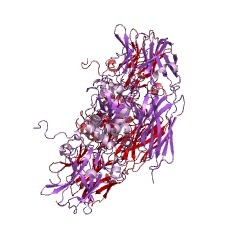 On the basis of the experimentally demonstrated activity of the Methanobacterium phage psiM2 pseudomurein endoisopeptidase [(PUBMED:9791169)], it is proposed that many, if not all, microbial homologues of the transglutaminases are proteases and that the eukaryotic transglutaminases have evolved from an ancestral protease [(PUBMED:10452618)]. 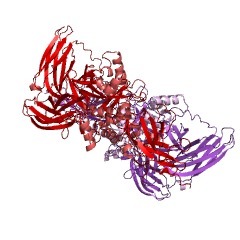 A subunit of plasma Factor XIII revealed that each Factor XIIIA subunit is composed of four domains (termed N-terminal beta-sandwich, core domain (containing the catalytic and the regulatory sites), and C-terminal beta-barrels 1 and 2) and that two monomers assemble into the native dimer through the surfaces in domains 1 and 2, in opposite orientation. 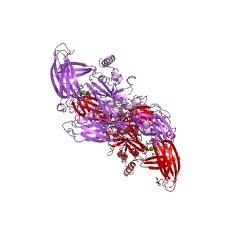 This organisation in four domains is highly conserved during evolution among transglutaminase isoforms [(PUBMED:12366374)]. 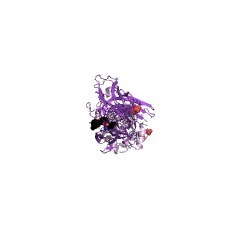 There are 34556 TGc domains in 34489 proteins in SMART's nrdb database. Taxonomic distribution of proteins containing TGc domain. This tree includes only several representative species. 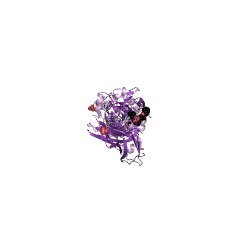 The complete taxonomic breakdown of all proteins with TGc domain is also avaliable. Click on the protein counts, or double click on taxonomic names to display all proteins containing TGc domain in the selected taxonomic class. A superfamily of archaeal, bacterial, and eukaryotic proteins homologous to animal transglutaminases. Computer analysis using profiles generated by the PSI-BLAST program identified a superfamily of proteins homologous to eukaryotic transglutaminases. 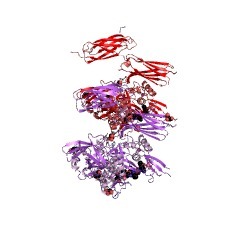 The members of the new protein superfamily are found in all archaea, show a sporadic distribution among bacteria, and were detected also in eukaryotes, such as two yeast species and the nematode Caenorhabditis elegans. 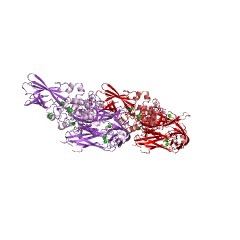 Sequence conservation in this superfamily primarily involves three motifs that center around conserved cysteine, histidine, and aspartate residues that form the catalytic triad in the structurally characterized transglutaminase, the human blood clotting factor XIIIa'. 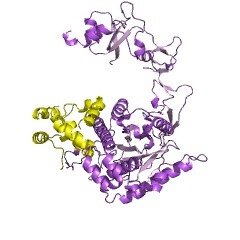 On the basis of the experimentally demonstrated activity of the Methanobacterium phage pseudomurein endoisopeptidase, it is proposed that many, if not all, microbial homologs of the transglutaminases are proteases and that the eukaryotic transglutaminases have evolved from an ancestral protease. Molecular analysis of Methanobacterium phage psiM2. The methanogenic archaeon Methanobacterium thermoautotrophicum Marburg is infected by the double-stranded DNA phage psiM2. 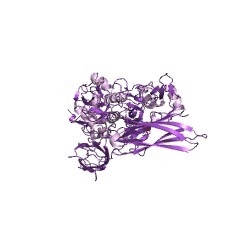 The complete phage genome sequence of 26 111 bp was established. Thirty-one open reading frames (orfs), all of them organized in the same direction of transcription, were identified. On the basis of comparison of the deduced amino acid sequences to known proteins and by searching for conserved motifs, putative functions were assigned to the products of six orfs. 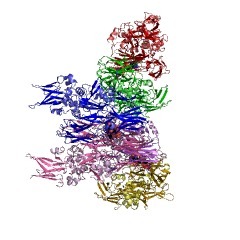 These included three proteins involved in packaging DNA into the capsid, two putative phage structural proteins and a protein related to the Int family of site-specific recombinases. 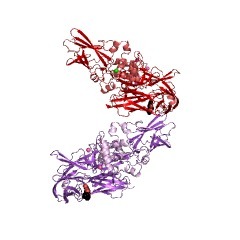 Analysis of the N-terminal amino acid sequences of three phage-encoded proteins led to the identification of two genes encoding structural proteins and of peiP, the structural gene of pseudomurein endoisopeptidase. This enzyme is involved in the lysis of host cells, and it appears to belong to a novel enzyme family. peiP was overexpressed in Escherichia coli, and its product was shown to catalyse the in vitro lysis of M. thermoautotrophicum cells. Comparison of the phage psiM2 DNA sequence with parts of the sequence of the wild-type phage psiM1 suggests that psiM2 is a deletion derivative, which formed by homologous recombination between two copies of a direct repeat. 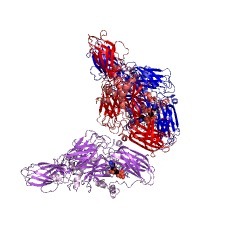 Three-dimensional structure of a transglutaminase: human blood coagulation factor XIII. Mechanical stability in many biological materials is provided by the crosslinking of large structural proteins with gamma-glutamyl-epsilon-lysyl amide bonds. The three-dimensional structure of human recombinant factor XIII (EC 2.3.2.13 zymogen; protein-glutamine:amine gamma-glutamyltransferase a chain), a transglutaminase zymogen, has been solved at 2.8-A resolution by x-ray crystallography. 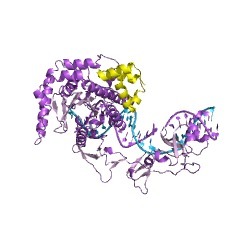 This structure shows that each chain of the homodimeric protein is folded into four sequential domains. 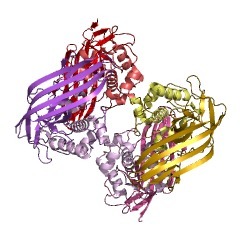 A catalytic triad reminiscent of that observed in cysteine proteases has been identified in the core domain. 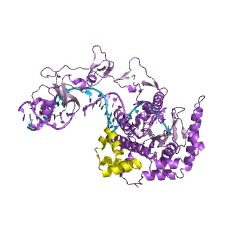 The amino-terminal activation peptide of each subunit crosses the dimer interface and partially occludes the opening of the catalytic cavity in the second subunit, preventing substrate binding to the zymogen. A proposal for the mechanism of activation by thrombin and calcium is made that details the structural events leading to active factor XIIIa'. 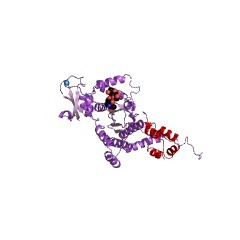 This paper is intended as a background to the topic of transglutaminases, while focusing on current ideas regarding the biological roles of these enzymes. 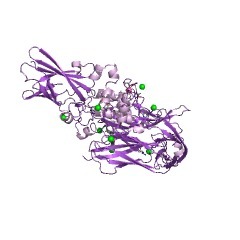 Specifically, the following topics are discussed: geometry of forming gamma-glutamyl-epsilon-lysine cross-linked structures; energetic considerations; the gamma-glutamyl-epsilon-lysine cross-link; amine incorporation assays; artefactual incorporation of amines in cells and tissue homogenates; synthetic substrate systems; regulation of transglutaminase activities; strategies for probing transglutaminase-mediated events in biological systems; the blood clotting paradigm; transglutaminase and cell aging: the Ca2+-enriched human erythrocyte; transglutaminase and cell activation: the thrombin-stimulated human platelet and the fertilized sea urchin egg. SwissProt sequences and OMIM curated human diseases associated with missense mutations within the TGc domain. This information is based on mapping of SMART genomic protein database to KEGG orthologous groups. Percentage points are related to the number of proteins with TGc domain which could be assigned to a KEGG orthologous group, and not all proteins containing TGc domain. Please note that proteins can be included in multiple pathways, ie. the numbers above will not always add up to 100%. 3esw Complex of yeast PNGase with GlcNAc2-IAc.